Angela Palm is the author of the new book Riverine: A Memoir from Anywhere But Here. 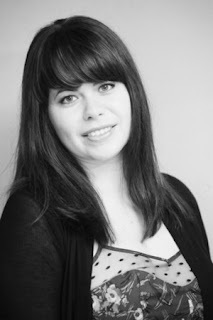 She edited the anthology Please Do Not Remove, and her work has appeared in a variety of publications, including Ecotone and Midwestern Gothic. 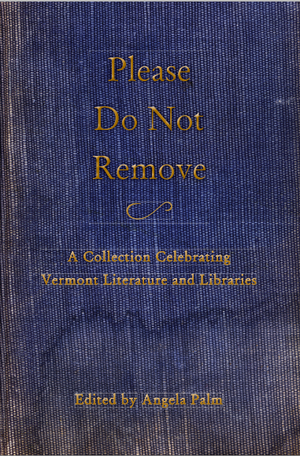 She has taught creative writing at Champlain College, among other places, and she lives in Vermont. Q: Why did you decide to write this memoir, and how did writing it affect the way you thought about your life and about your childhood neighbor Corey, who is serving a life sentence for murder? A: I spent my 20s thinking nothing significant had ever really happened to me—nothing that was worth writing about. I also mistakenly believed, at that time, that young people’s stories didn’t much matter in the literary world. When I began talking to people about my upbringing in rural Indiana, revisiting the memories of Corey and of our riverside neighborhood, I realized it was different than most people’s experiences. I began to write about the land itself—using the backdrop of place to inform the memories of that place and vice versa, seeing what epiphanies came from those marriages. Corey—his life, our relationship, his crime—kept coming to the fore no matter how I tried to minimize it. I had never really dealt with the event in a way that put it to rest. As I pulled together disparate essays to form a book, I did two things. I went to see Corey in prison—the first time I’d seen him since I was a teenager. I also made a list. An honest list noting every life decision I had made that was somehow connected to him. The list was longer than I wanted to admit to myself. I let it guide me and embraced the haunting truth of the matter: I had loved a convicted murderer. With that new truth, I looked back over the memories of us, and tried to balance my own sentimentality toward him with the more difficult realities of his crime and my own past. Only then did the memoir really arrive at its point. Visiting him gave me much insight, a fuller picture of both my life and his. Writing about it gave me clarity, but also confirmed something else: humans, the best and worst of us, are quite complicated. In most cases, I think, people are not purely bad or good. Life is more like one large gray area. And I think that’s a great realization because it affords all of us the opportunity to foster greater compassion for one another. A: The river is the center of the book in many ways, as it was the center of my own childhood. It becomes a metaphor, a guiding force, a magnet that pulls me back. I fell in love with the word riverine because of its meaning: living or situated on the banks of the river. A literal truth for this book, but more than that. 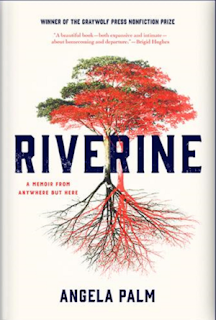 I recast myself, all the river rats—those neighbors who shaped my early life—as riverine. I loved the feel of the word in my mouth, its tactility. And the way it made me feel drenched in river water. I once was, after all. What could be more apt than that? Q: Did you plan the structure of the book before you started writing, or did it develop more organically as you wrote? A: When I began assembling essays, I knew I wanted to look at this very particular place in rural Indiana as a kind of sociological archaeologist would. I decided to examine the individual layers and try to determine what they meant, later, when taken together. I would, thus, break the place down into its parts like a scientist in order to understand their individual, and then, later, collective influence over me. It was the only way I could process it all. I looked at the physical location, the history of the land which became more complicated the farther back I looked, the agriculture, the area’s demographics, its religion, its social habitats, all separate from one another. Further organization came later, and that was a fruitful way for me to work. The thematic linkages between the essays became more apparent toward the end, and I used those, along with chronology, to decide on a final shape for the material. Q: In the book, you write about various people in your life, including Corey and your husband. Have they seen the book, and what do they think of it? A: They have both read the book, and they have been very supportive. They love the writing itself. Corey loves reading about the happier memories of our childhood. That said, they’ve each indicated they’d be “fine” with me never writing about them again. I think that’s a very normal and understandable reaction. They never asked to be bound to a writer in this way, to be the subject of anything, but they did give their blessing for this particular story and I’m grateful for that. A: A couple of different things. First, a novel about the way the internet interrupts the grieving process. Second, a book-length essay that’s in part related to the character Estella from Great Expectations.